This Grade 1 listed Elizabethan house is now a private family home which is no longer open to the public. The first reference to Brereton is in the Doomsday Book which refers to the 'Manor of Bretune'. 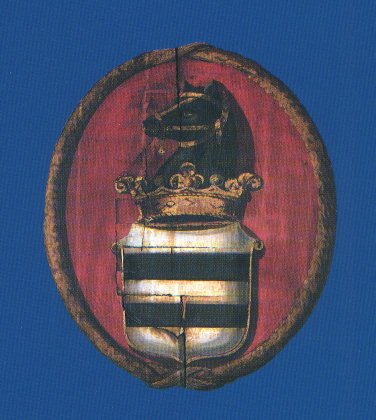 The authentic family tree begins in 1175 with William de Brereton of Brereton. It is said that he was named William after William the Conqueror and it became a recurring name within the family. 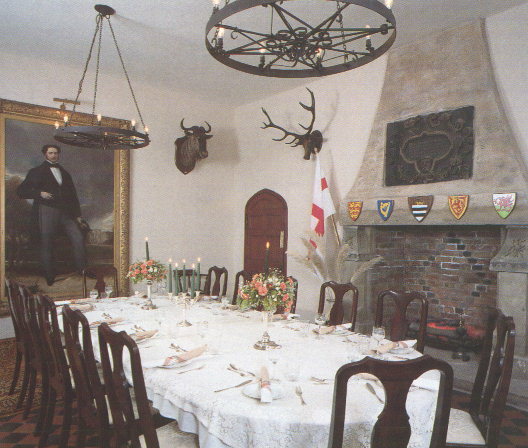 The history of the house spans a 414 year period. The twin towers were originally adorned by copper cupolas, but these were removed, presumably because of their weight. The last Lord Brereton, Francis, died in 1722 a batchelor thus ending a six hundred year lineage. 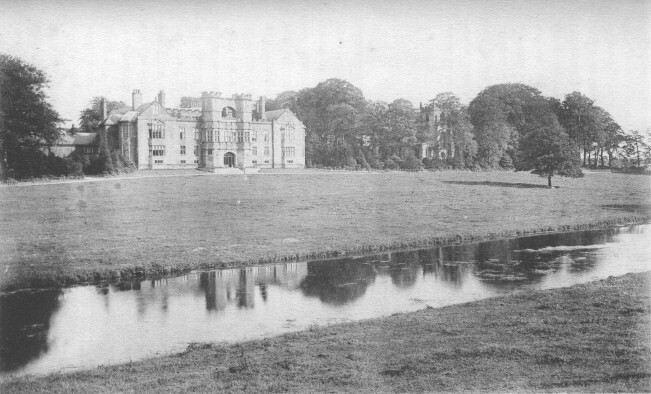 Since then the estate has had several private owners. 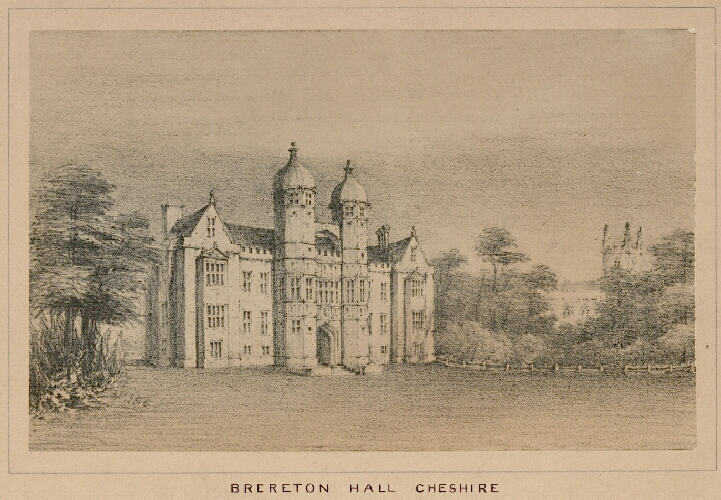 A 60 page booklet :- 'The Story of Brereton Hall, Cheshire' by Arthur L.Moir, provides a comprehensive account of Brereton family history. 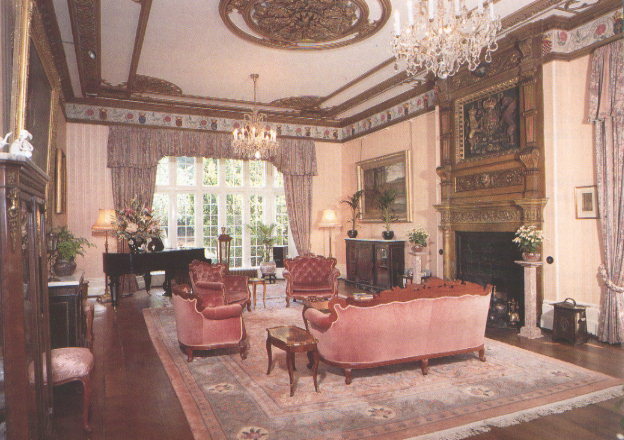 The panelled sitting room has a fine cast iron fireplace with marble surround and mantlepiece. 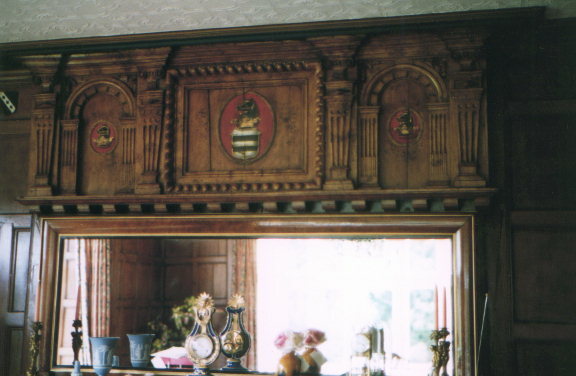 The walls are oak panelled and depict at ceiling height coats of arms of estates within riding distance of the hall. The original house was built to a letter 'E' plan but unfortunately the middle bar was lost to fire (possibly following the dropping of a lighted coal by a chambermaid). 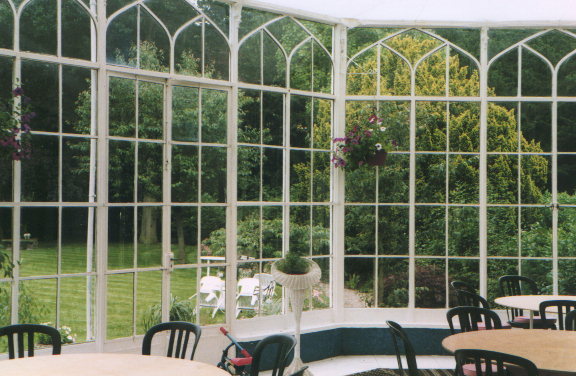 In its place a large conservatory was built which has been used for wedding receptions. It is said that a valet had the audacity to interrupt Sir William at dinner, whereupon seeing his master's anger, fled upstairs; but Sir William pursued him there and in his ungovernable rage, murdered him. Sir William, in fear and consternation of the deed and its probable consequences, went to London to plead for pardon with the King, for the royal authority was great in those days. Sir William went on his knees before the King and confessed his crime. The King was obdurate and refused to pardon him immediately, but offered to give him a chance. He said he would allow Sir William three days in which to invent a muzzle for a bear; if it proved efficacious, his life would be spared, if not -- well, the bear would provide his punishment! For three days Sir William was shut up in the tower. At the end of that time he was brought before a bear. The bear was let loose. The prisoner flung his newly invented muzzle over its head and escaped unharmed. From that time the muzzled bear became the emblem of the Breretons. One April day in the year 1536 a Tournament of knightly sports was in progress was in progress at the Tilting-Ground at Greenwich. King Henry VIII was there with his queen, Anne Boleyn. The Queen accidentally dropped her handkerchief, and a chivalrous knight picked it up on the point of his lance and handed it to the Queen. King Henry saw this act; he left the royal stand, where he and Anne Boleyn were sitting, and his furious temper was plain to see. He ordered that the knight, Sir William Brereton, and four companions should be arrested immediately, and carried off to the Tower of London, to be charged with High Treason as lovers of the Queen. Anne Boleyn was arrested a few hours later and never saw the king again. A jury of Henry's choosing was impanelled and the five prisoners were hastily tried. Though they pleaded "Not Guilty" they were sentenced to death and beheaded on Tower Hill on May 17th 1536. They were:- Lord Rochford (Anne Boleyn's brother), Sir William Brereton; Sir Henry Norris; Sir Francis Weston and Mark Smeaton, a mere boy. The hapless Queen was beheaded two days later at a scaffold within the Tower. The following day the King was betrothed to Jane Seymour, and the marriage took place ten days later at York Place. There is some confusion about the identity of this Sir William Brereton. 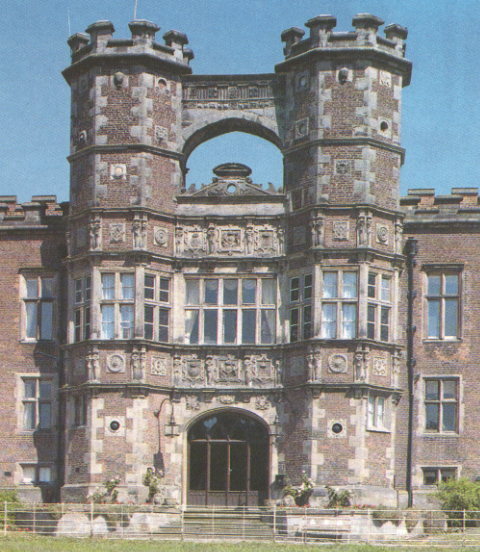 Apparently he was Sir William Brereton of Aldford, the 7th son of Sir Randle of Malpas Hall. He had presented Anne Boleyn with a greyhound named 'Urian'. Also the details about the tournament may be an embellishment of the deeds of Norris and not Brereton. Sir William had previously accompanied the King and Anne Boleyn on a visit to check on the inventory of Cardinal Wolsey's goods and chattels shortly before the latter's death. This may have inclined George Cavendish, Wolsey's secretary, to testify against him. 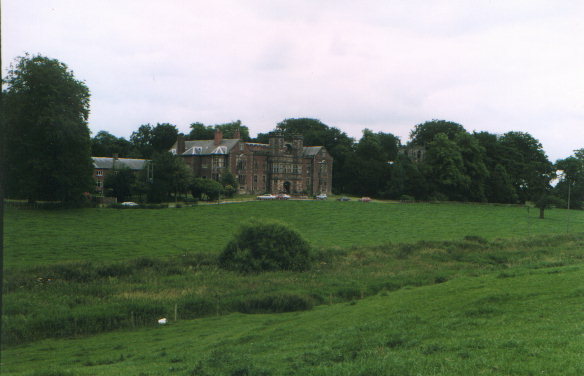 At the end of the second world war, classrooms were built close to the hall and the school continued for 50 years with both day pupils and boarders. 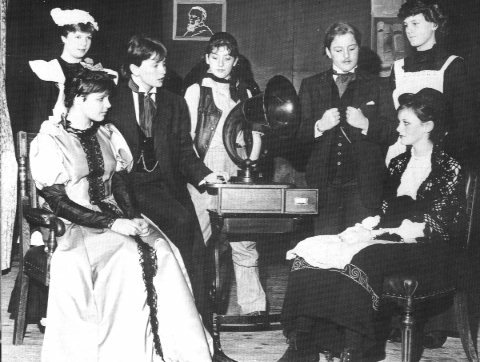 This photo is from a school play 'Pygmalion' in 1984. The part of Eliza (lower right) was played by Margaret Waterhouse (now Carolan). There is now a dedicated website set up by Zoe Davies for information and questions about the school (see above). Some previous letters can also be seen on the Student Friends bulletin board. The portrait (Aaron Clulow Howard, a previous owner) had a tear in the position of one of the pockets. When it was removed for repair it was discovered that the pupils had wedged unspeakable objects into the 'pocket' behind the canvas. was kindly sent in by Len Fallan (see letters). It belonged to his grandfather, Randle Brereton. 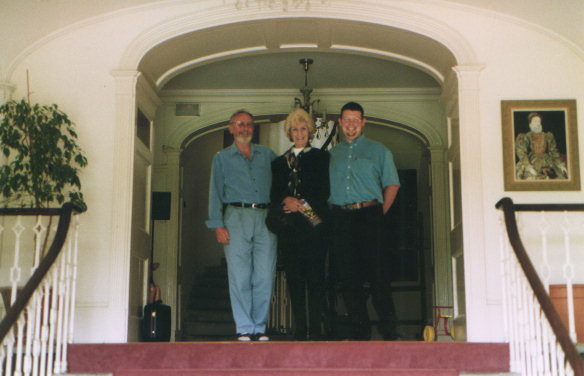 This site also has details of the family reunion which was held at the hall at the end of July 2001.